For therapeutic purposes, used cyclically-rotating, pulse, fixed, variable low-frequency magnetic fields that contribute to reliable and mild recovery from chronic diseases. 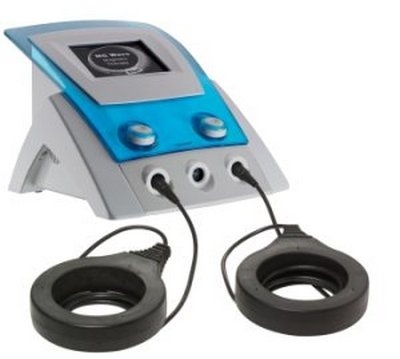 Magnetic therapy has analgesic, anti-inflammatory, hypotensive and restorative, anti-impact. Thanks to magnetic therapy may relieve a person from drug addiction, the body to improve circulation and accelerate healing. • Diseases of the genitourinary system, gynecological diseases. • Diseases of the skin, joints and spine. • Oncological diseases, immune stimulation, correction of immunodeficiency. • Inflammatory and chronic diseases. • anticoagulation blood predisposition to bleeding. • The active form of tuberculosis. • Coronary heart disease complicated with the occurrence. Rehabilitation in Germany and the Czech Republic with the help of magnetic therapy - an effective and reliable way to improve and strengthen your body without a medical abortion regimen.